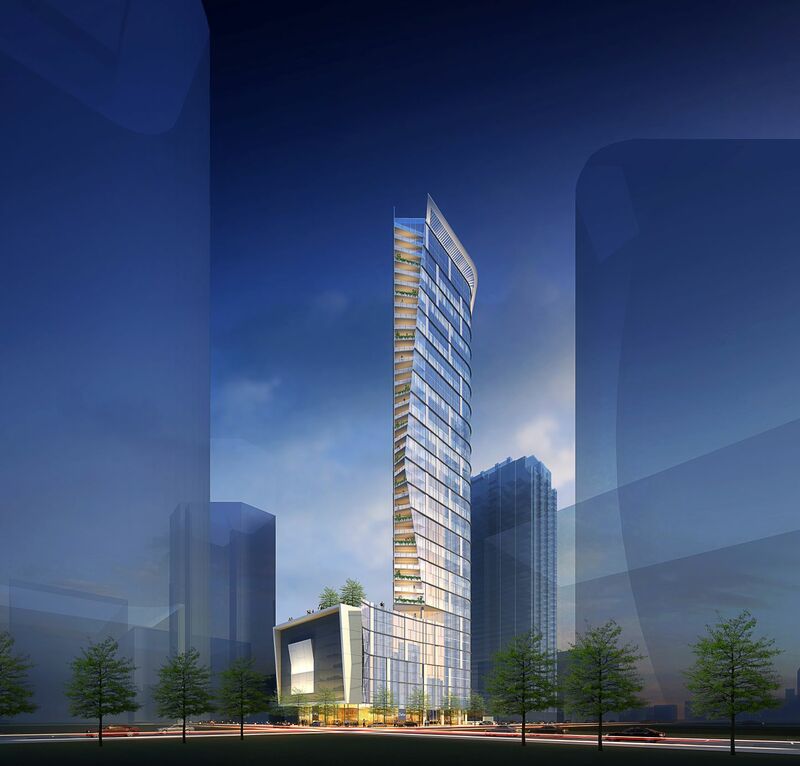 HOUSTON – (Realty News Report) – Houston’s first major fruit of the Opportunity Zone tax incentives is officially underway in downtown – a 46-story residential tower by the Hines organization. The new federal Opportunity Zones are the nation’s hottest real estate investment bonanza since the California Gold Rush began in 1848. It gives investors relief from federal capital gains tax. Hines’s new high-rise residential building is part one of the 630 Opportunity Zones in Texas. The Hines project, a 373-unit tower called The Preston, is now officially under construction on the site of the old Houston Chronicle garage at the corner of Preston and Milam. “We are breaking ground either today or Monday (April 1),” said Chris Rector, a Hines executive who is managing the tower. Rector made the comments last week at the ULI Urban Marketplace conference in a session about Opportunity Zones, where there was a standing-room-only crowd of folks eager to learn about the new OZ tax breaks. As far as the new Hines project is concerned, the Opportunity Zone designation will allow Hines to defer and reduce the federal capital gains tax due on the residential tower. Details of how to apply the Opportunity Zone rules and exact regulations on the regulations are still dribbling out from the Brain Trust at the IRS. The opportunity zones are based on the Tax Cuts and Jobs Acts passed by Congress in December 2017. Jones told the ULI audience at the Marriott Marquis hotel that Harris County has 105 census tracts designated as opportunity zones, more than twice as many as Dallas. The new law requires that the owners make substantial improvements to the property in order to take advantage of the break on capital gain tax. If an Opportunity Zone investor holds the property for 10 years, the investment will be excluded from paying capital gains tax. Even a five-year hold generates benefits. Hines is developing the Opportunity Zone residential tower in partnership with the Cresset-Diversified QOZ Fund of Chicago. Rector, the Hines executive, said Hines has several other Opportunity Zones projects (not in Houston) with Cresset-Diversified in the pipeline for future development. The demolition of the five-level Chronicle garage is the first step in erecting The Preston apartments – a 1 million-square-foot office tower designed by world renowned architect Pelli Clark Pelli. 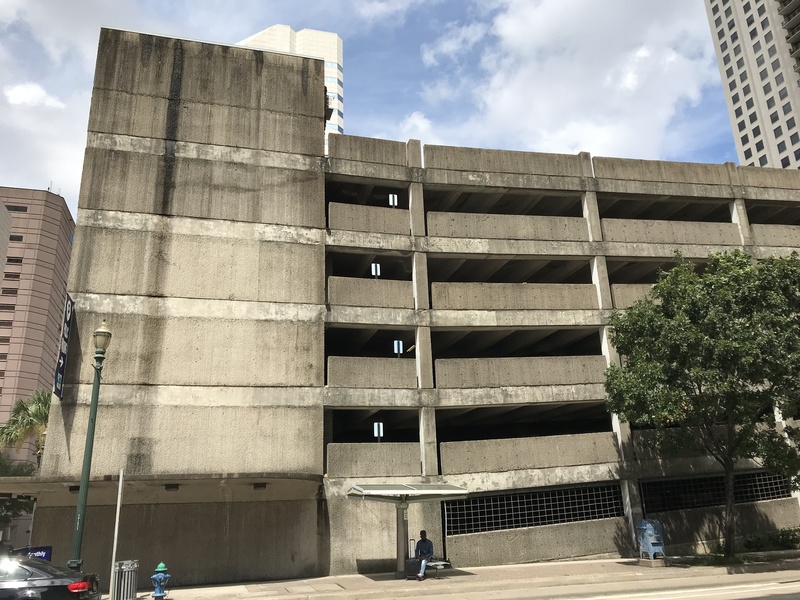 The decades-old Chronicle garage, which sits on a half-block, is one of the ugliest properties in the vast Hines global portfolio. But it won’t be standing much longer.